Capturing drama and sophistication from the 1940s, this crystal bangle is fabulous. This sensational 1940s inspired bangle captures the bold style of one of the most classic and glamorous fashion eras. 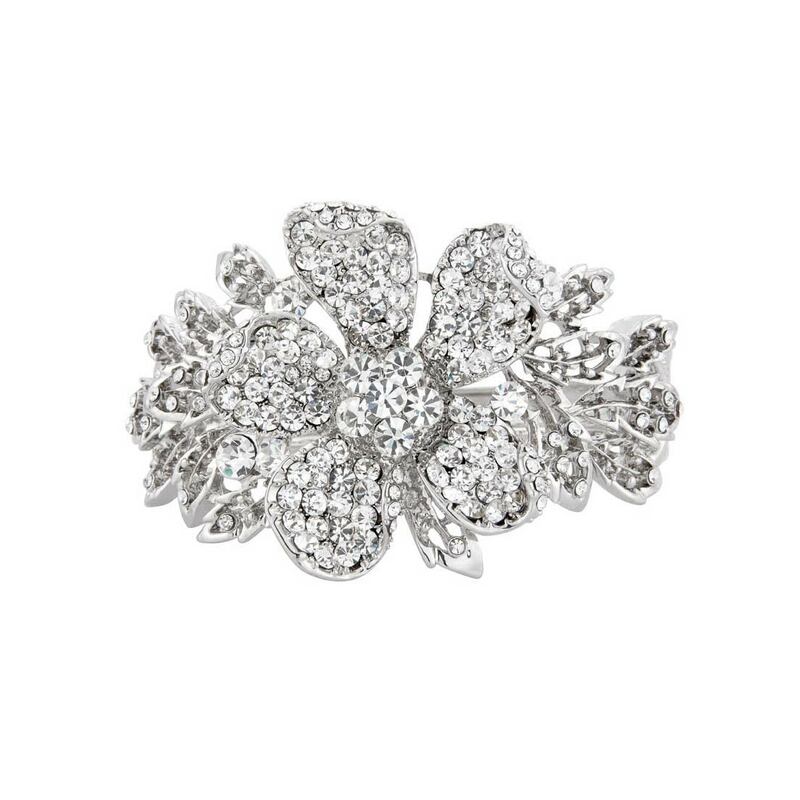 Featuring a centre silver tone flower adorned with sparkling Austrian crystals and surrounded by crystal studded leaves, this 'piece' oozes timeless glamour. Perfect to compliment a little black dress, a figure hugging gown or a simple camisole, this is a must-own bangle for when the occasion calls for a touch of antique glitz. A beautiful wedding cuff for brides who adore vintage jewellery, this exquisitely enhances crystal and floral detailing on a bridal gown. Accessorize with a 1940s style headpiece in a loose low side bun for super star style or crystal drop earrings for vintage class.